Spectator merely thinks of a card. 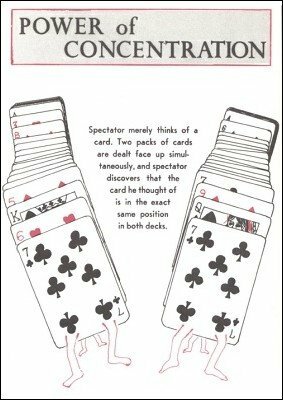 Two packs of cards are dealt face up simultaneously, and spectator discovers that the card he thought of is in the exact same position in both decks. Based on an effect by Tom Bowyer who first conceived the intriguing idea of having two decks of cards dealt in unison for the purpose of arriving at a duplicate set of cards.